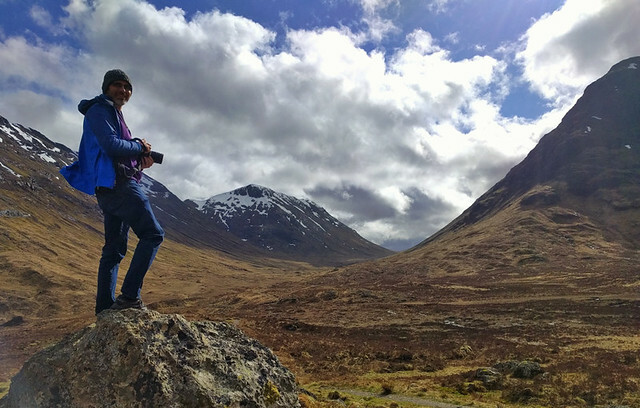 Needing a break, our friends took Wednesday off from hiking, so Leandra and I set off on our own to explore Glen Coe. 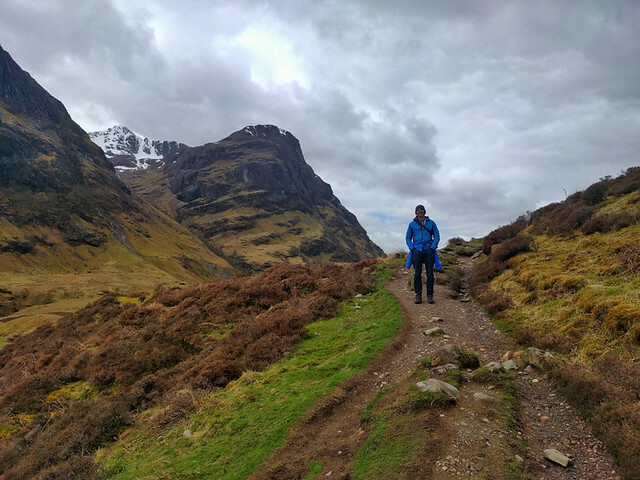 On an earlier trip we had driven through and loved the views, so for this trip we wanted to get out and do some hiking as well as experience some of the hard to reach spots. 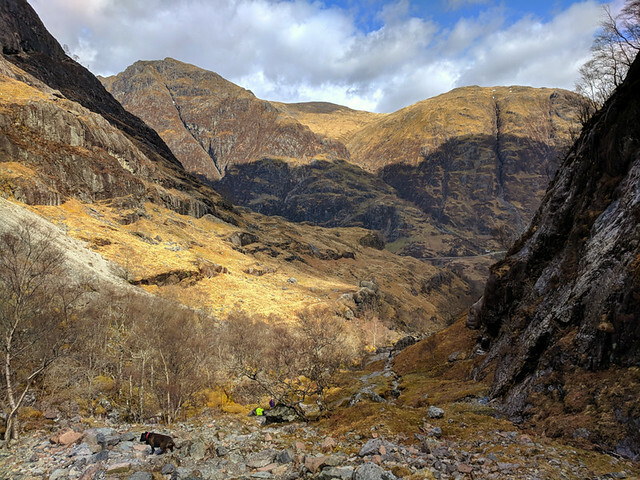 With rain forecasted for the afternoon we made sure to start our morning with Coire Gabhail, also known as Lost Valley or Hidden Valley. 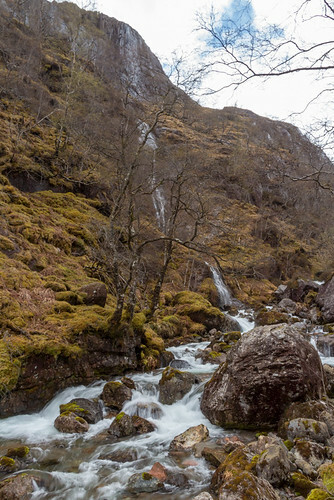 A several-mile hike takes you part way up the mountainside to a beautiful hanging valley hidden from the road. 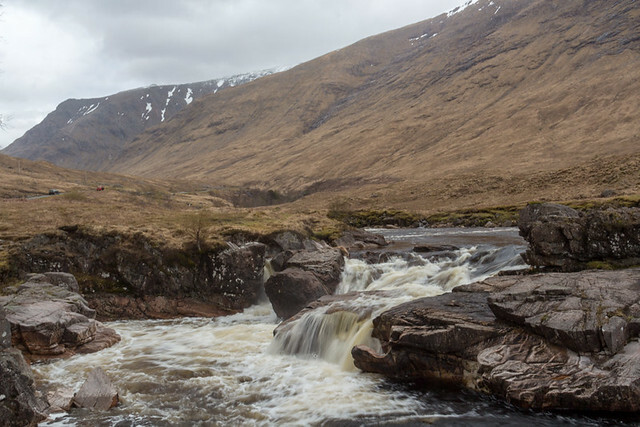 There was one stream crossing that was a little tricky due to higher water levels, but I was able to get across without getting wet. 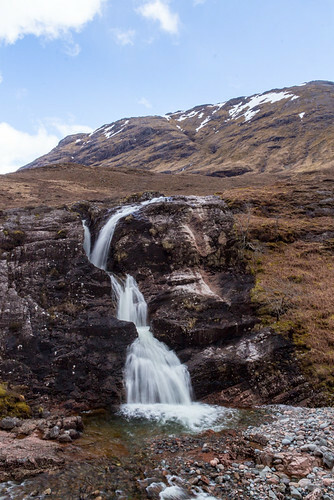 This was a great hike, definitely recommended. 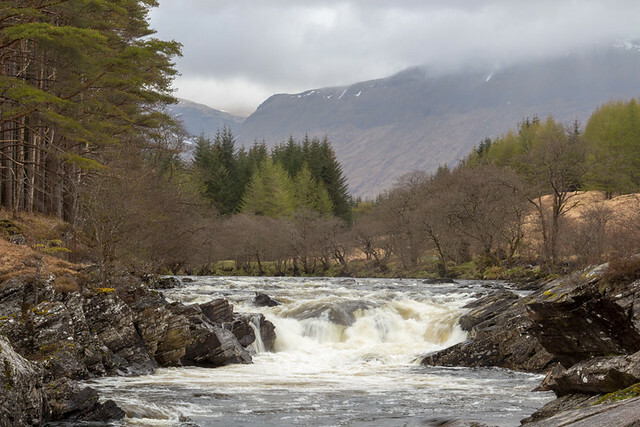 Next up was Glen Etive which follows the River Etive to, wait for it, Loch Etive. 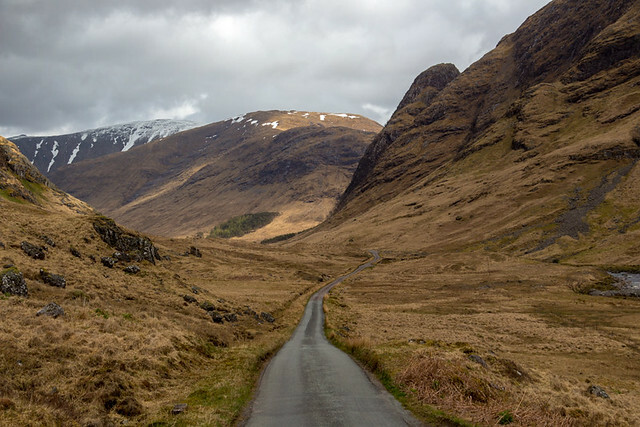 This road is renowned for its beauty, and has been featured in several movies. The first few miles are amazing. 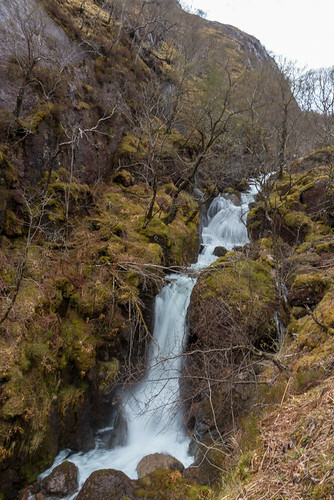 There are waterfalls and cascades all along the river… it’s definitely a happy place for us. 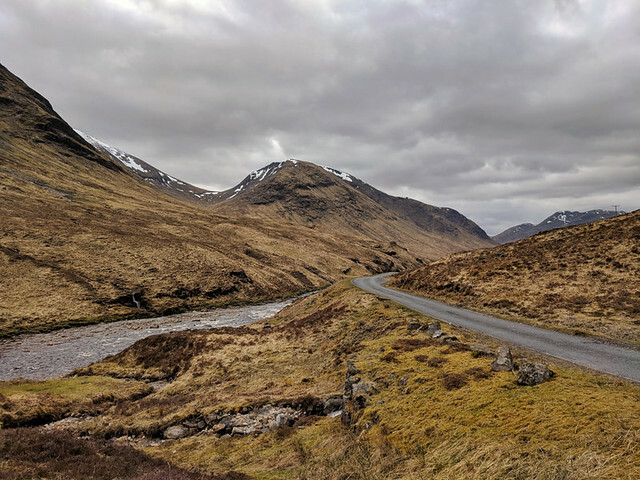 About a mile before we got to Loch Etive we could see a large rain cloud coming in, and combined with the deteriorating road conditions, we decided to turn around. The drive out was equally beautiful. 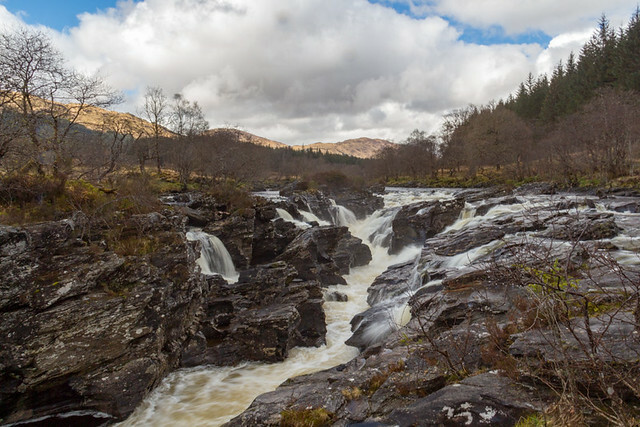 Our third destination for the day was the River Orchy, a less traveled offshoot from the Glen Coe Road that features several large cascades. 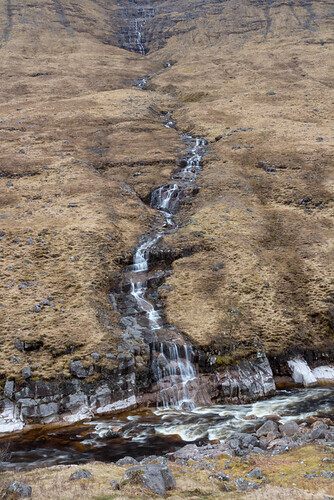 Our run of good weather finally broke along here as we had a few downpours and even some frozen rain… nonetheless, it was still a beautiful drive. 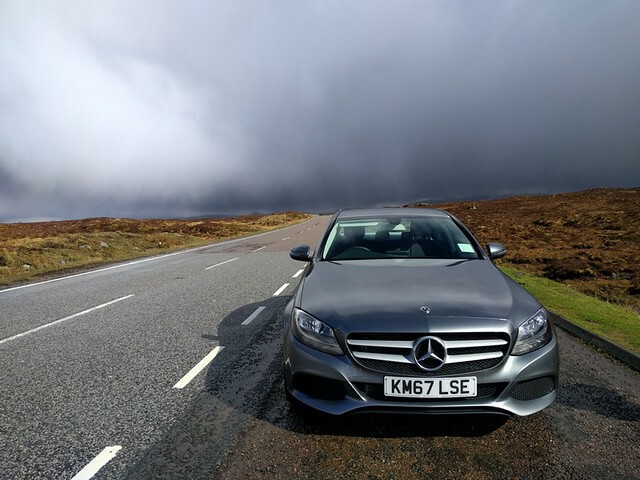 outrunning the weather in our rental Mercedes! 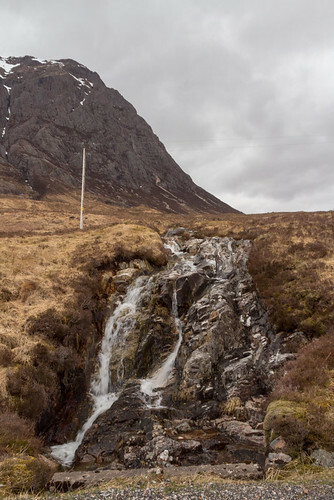 On our return through Glen Coe we stopped for several roadside views – it’s hard to get enough here. 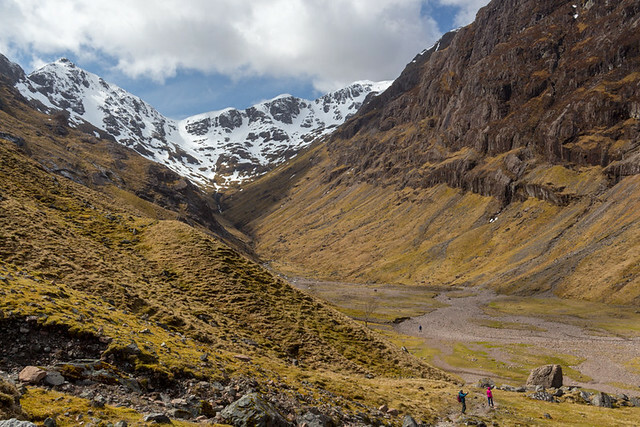 Glen Coe and the surrounding area are truly beautiful, well worth making the trek to this part of Scotland.